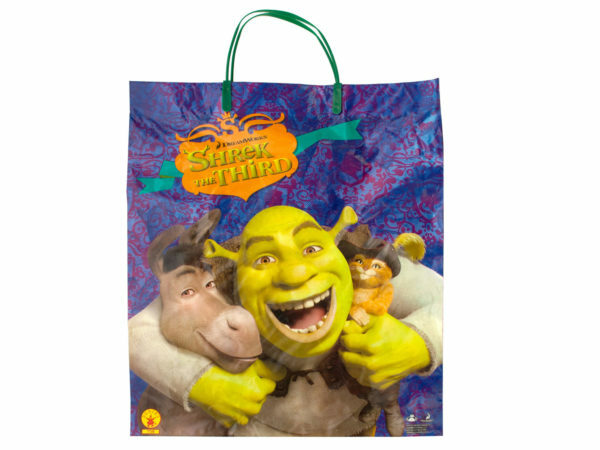 Great for trick-or-treating and more, this Shrek the Third Tote Bag features a square plastic bag with Shrek graphics and durable green plastic handles. Measures approximately 13" x 14.625" with 3" drop handles. Comes loose.